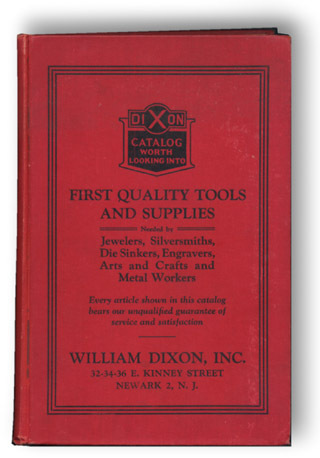 Established 1868, Dixon carried nothing but the finest tools and illustrated them with the finest engravings in the catalog. 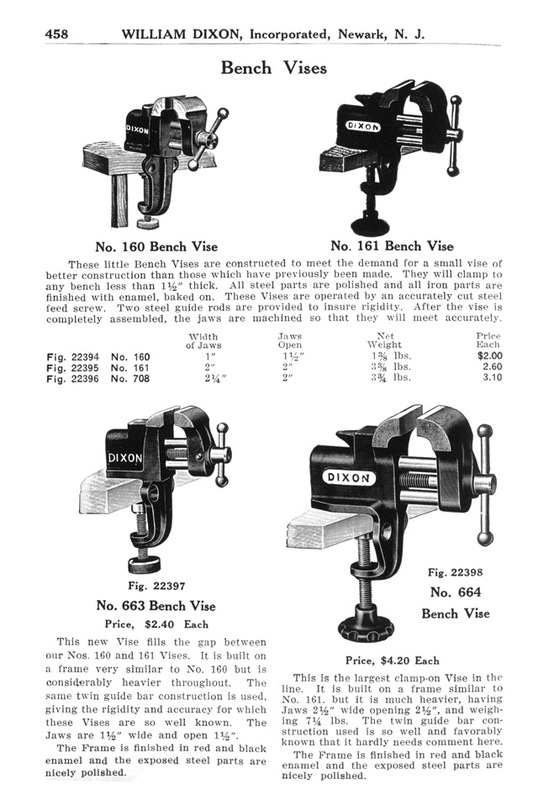 One of Dixon's advertising ploys was to give many authors and publishers of text books permission to use their illustrations which always clearly had DIXON on the tool. Metal Techniques for Craftsmen By Oppi Untracht was one such book. 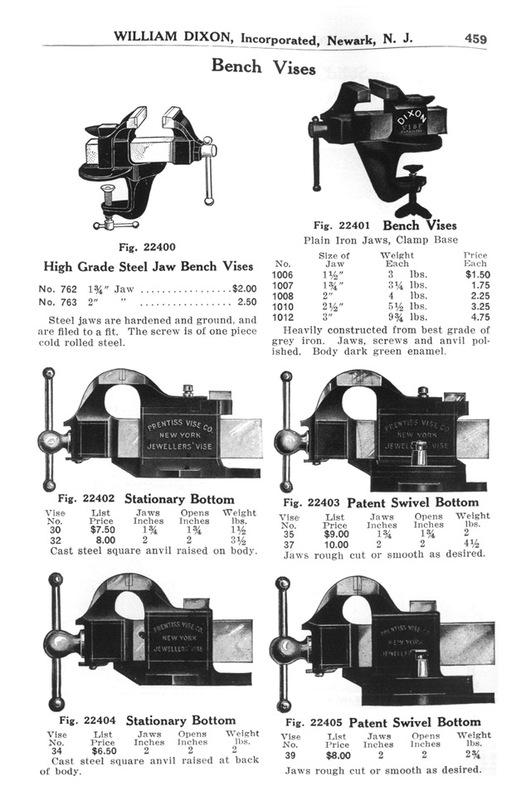 The catalog says "Catalog worth looking into" and Tools needed by, Jewlelers, Silversmiths, Die Sinkers, Engravers, Arts and Crafts and Metalworkers. 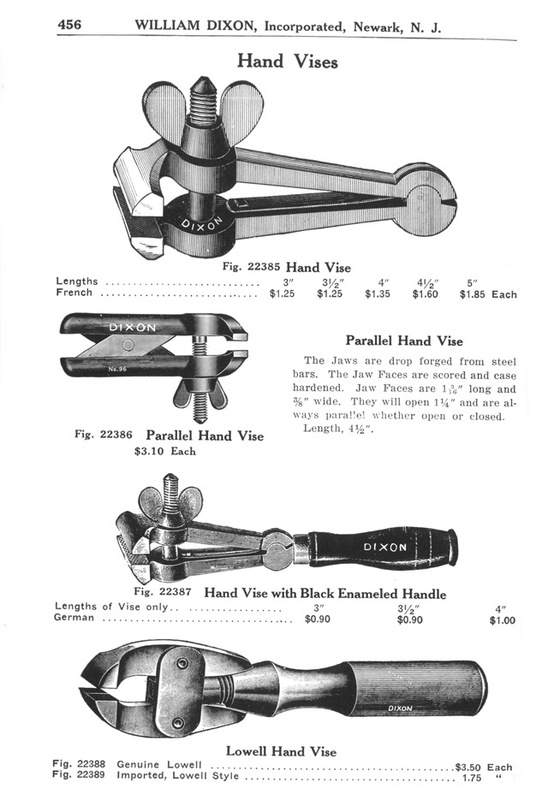 Page 456 Hand Vises. Most unchanged since the 18th Century or earlier. 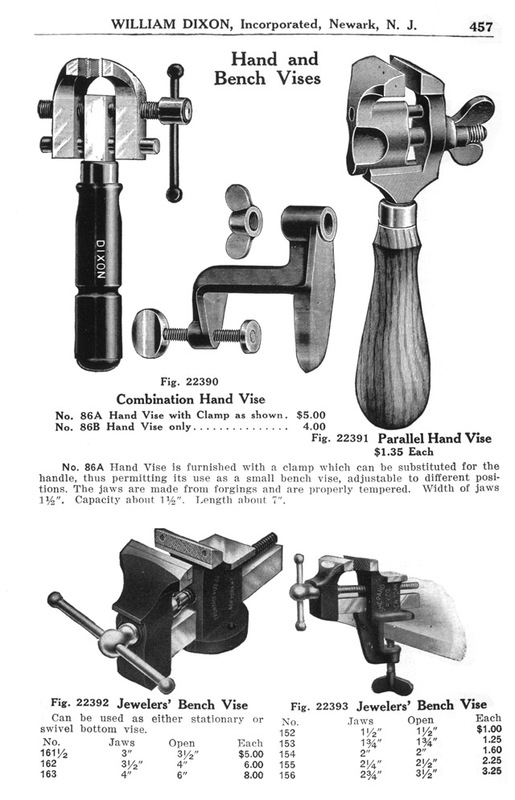 Page 457 Modern Parallel Jaw Hand Vises and two Shepard Jewelers Bench Vises. Page 459, Small DIXON and Prentiss vises.